Here’s the Bolts breakdown, and some of the background on how they think things will play out for the team. After a season on the Chargers’ practice squad, Dombrowski, an undrafted free agent out of San Diego State, has been a key reserve offensive lineman over the last three seasons, starting 15 of 47 games. With four offensive linemen ticketed for unrestricted free agency, an “original round/right of first refusal” tender at $1.26 million is a possibility. 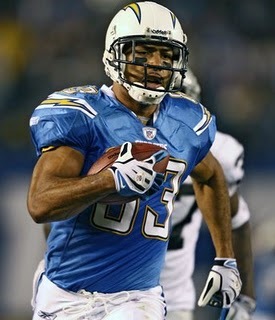 Franchise Tag Candidate: The Chargers used the franchise tag in 2011 on wide receiver Vincent Jackson at a cost of $11.424 million. Jackson validated that with a strong season, ranking 14th in DYAR and 19th in DVOA. To use a second tag on Jackson would cost the Chargers $13.709 million, a 20 percent increase over his 2011 salary number. Potential Cap Casualties/Restructures: Left tackle Marcus McNeill’s $10.5 million base salary becomes fully guaranteed on March 13. Coming off a season-ending neck injury, McNeill will likely be released before that happens, clearing $6.6 million in cap space. Left guard Kris Dielman is leaning towards playing in 2012 after a concussion, and subsequent seizure, ended his 2011 season and nearly sent him into retirement. 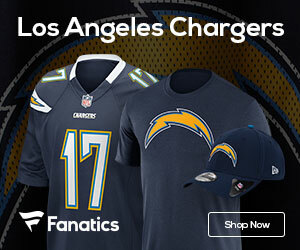 Dielman is due $5.5 million in total compensation –- a $4.5 million base salary and has a $1 million roster bonus –- that the Chargers may seek to reduce. Defensive end Luis Castillo missed most of 2011 with a broken leg and is due $4.975 million in total compensation that the Chargers may seek to restructure.